Climbing routes on Donner Summit offer stunning views of Donner Lake and the Sierra crest. The Access Fund is the national advocacy organization that keeps climbing areas open and conserves the climbing environment. Founded in 1991, Access Fund supports and represents millions of climbers nationwide in all forms of climbing: rock climbing, ice climbing, mountaineering, and bouldering. Six core programs support the mission on national and local levels: climbing policy and advocacy, stewardship and conservation, local support and mobilization, land acquisition and protection, risk management and landowner support, and education. Access Fund has supported 58 land acquisitions by land trusts, public entities, and local climbing organizations, totaling 16,251 acres across twenty-seven states, and it is an accredited land trust. Visit accessfund.org to learn more. TRUCKEE, Calif. — The Truckee Donner Land Trust and the Access Fund last week announced the acquisition and protection of a significant set of climbing areas on Donner Summit. The purchase protects the historic 400-foot Black Wall that stands guard on the eastern flanks of Donner Summit, as well as the Peanut Gallery and Road Cut climbing areas. The acquisition of this property also protects the access trails to the popular Space Wall and Stealth Wall. “Now, residents, visitors, and climbers alike can celebrate knowing this scenic landmark and world-class climbing area are permanently protected,” says Perry Norris, the Land Trust’s executive director. 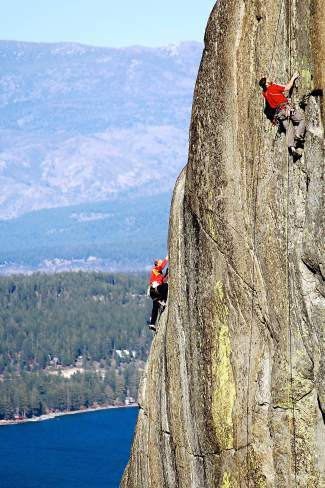 Climbers have been scaling the walls on Donner Summit for 50 years. But in 2013, the private landowners expressed concerns about liability, putting access to the historic climbing area at risk. Local climbers, Access Fund and the Land Trust reached out to the landowners, and after nearly a year of negotiations, they agreed to sell the property. The climbing community and partners banded together, and in just seven months they raised more than $300,000 to purchase the property. A group of local climbers led the grassroots fundraising effort, and both Planet Granite and Touchstone Climbing gyms played a critical role encouraging their members to match their donations. Hundreds of climbers and local residents donated to protect the climbing resource; athletes gave slideshows, with partners such as Tahoe Sports Hub, Mountain Area Preservation and California 89 donating venues. Outdoor companies also donated gear for auctions and raffle prizes. 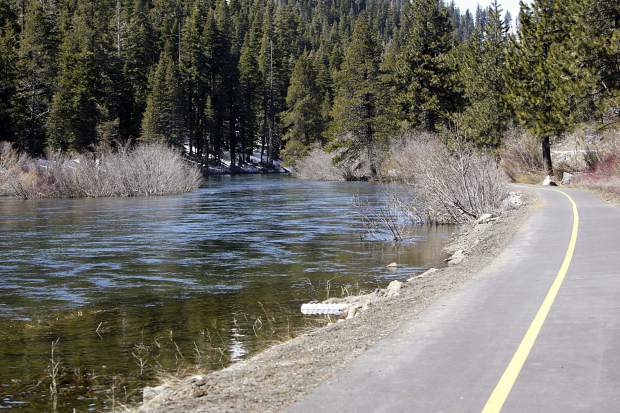 Truckee Donner Land Trust will hold the 11.9-acre property, adding it via a boundary line adjustment to the neighboring 65 acres of land they already hold in fee. Access Fund will maintain a permanent conservation easement on the Black Wall property to back up the Land Trust’s long-term commitment and ensure climbing access in perpetuity. With support from local climbers, the Land Trust and Access Fund will steward the area, work to minimize climber impacts, improve trails and trailheads, provide informative signage, and protect nesting peregrine falcons in the area. 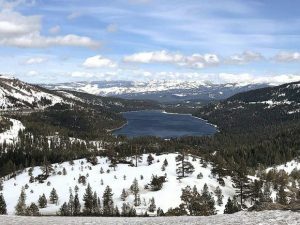 The Land Trust has further plans to connect a multi-use non-motorized recreational trail from Donner Lake to the climbing wall and up to the summit area, attracting more visitors to support the local economy. 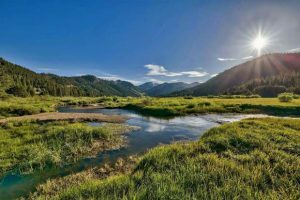 This article was submitted to the Sun by the Truckee Donner Land Trust, which preserves and protects scenic, historic and recreational lands with high natural resource values in the greater Truckee Donner region. Visit tdlandtrust.org to learn more.